Item Nr: B 94856 Title: You're Going to Love This Kid! 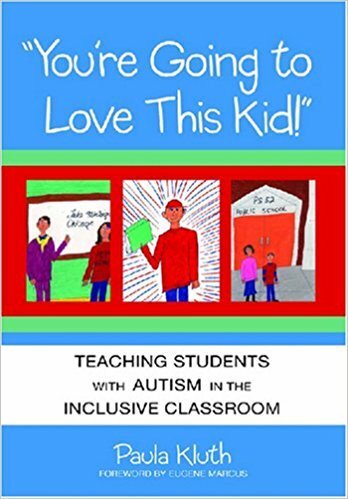 Guide for school educators that describes strategies for inclusive teaching methods to benefit students who have been diagnosed with autism. Discusses ways to foster friendships, build communication skills, plan lessons, adapt the curriculum and physical environment, and other related topics.